Our next meeting will be held on Tuesday, May 31th at 7 pm at Billy T’s Tap & Grill, 1600 Highbury Ave N, London, ON N5Y 5N7 in their back meeting room. New members always welcome, come on out and see what we’re about. If you are planning to fish the Hank Gibson Qualifier get your signup form and cheques to the club president for signing ASAP (i.e. bring it to the meeting). Jersey Ordering – sizing info will be available at the meeting as will forms for adding logos if you are a sponsored angler. With the sponsors on board (FCBM, Angling Sports and Valley Fashions) and sufficient orders the costs for the standard jersey (+taxes and shipping) should be quite low (est. ~$30). Bring $20 down payment please. 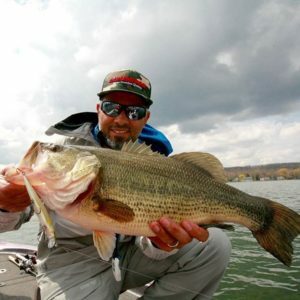 Nick Cousvis (and Theo) from Megabass will talk to us about jerkbait and sight fishing.